I wish to receive emails on recalls, news, and special offers from Riviere-du-Loup Toyota. 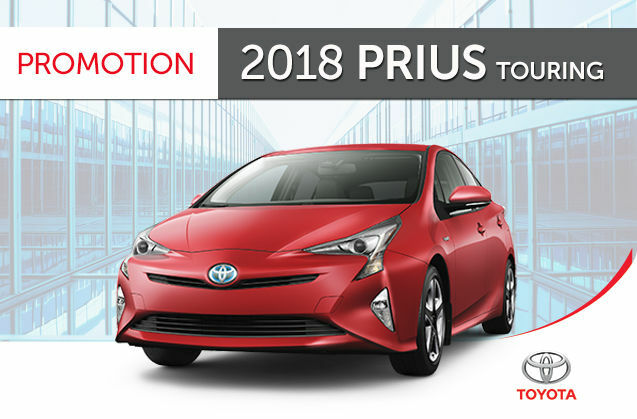 9 Limited time purchase financing offer provided through Toyota Financial Services on approved credit on new retail sales of qualifying models. Finance example based upon $33,389.00 financed at 0.99% APR equals $941.70 per month for 36 months with $0.00 down payment or equivalent trade-in. Cost of borrowing is $512.20, for a total obligation of $33,901.20. Taxes, license, insurance and duty on new tires are extra. Dealer may sell for less. Time limited offer at participating dealers. Offer subject to change/cancellation without notice. See your participating Toyota dealer. 9 Limited time lease offer provided through Toyota Financial Services on approved credit on new retail lease of qualifying models. Lease example based upon 0.99% lease APR for 36 months using a representative vehicle price of $33,389.00. Monthly payment is $540.48 with $0.00 down payment or equivalent trade-in. $0.00 security deposit, down payment and first monthly payment due at lease inception. Taxes, license, insurance and duty on new tires are extra. 72000 kilometre allowance; charge of $0.10 /km for excess kilometres. Dealer may lease for less. Dealer order/trade may be necessary. Time limited offer at participating dealers. Offer subject to change/cancellation without notice. See your participating Toyota dealer.